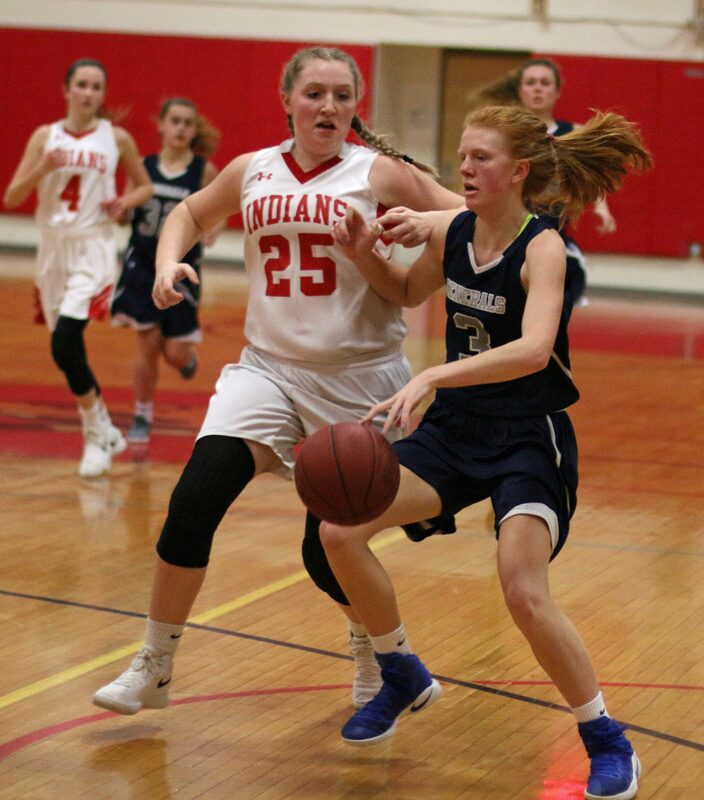 (Amesbury MA) It looked like a long night for Hamilton-Wenham after 3 ½ minutes had been played. The Generals trailed 11-5 and looked overmatched against AHS shooters Alli Napoli and Flannery O’Connor. 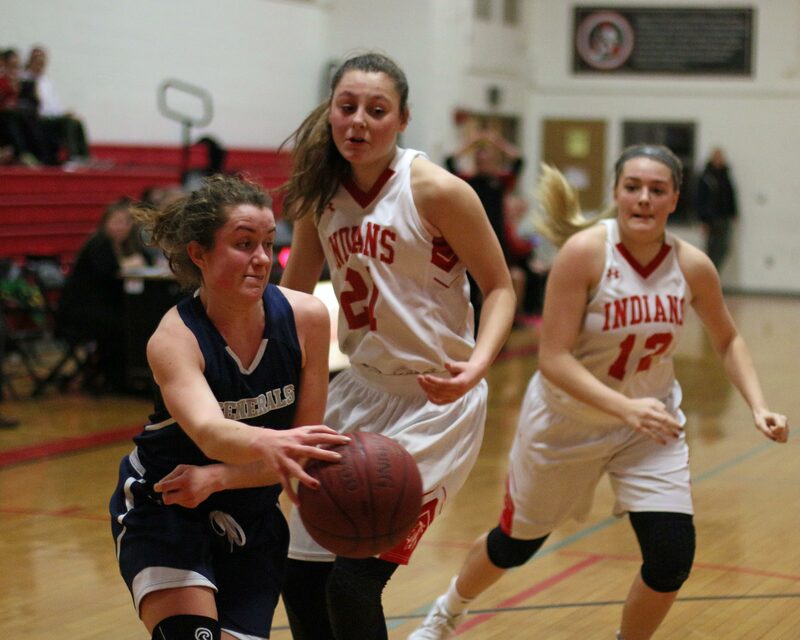 However, once the HW defense got up to speed the Indians were the ones in trouble as they fell, 38-27, on Friday night in Cape Ann League action. “We pride ourselves on our defense,” said HW coach Jon Flanagan afterwards. On this night that defense featured Jemma Shea (on Alli Napoli) and Cecily Szady (on Flannery O’Connor). 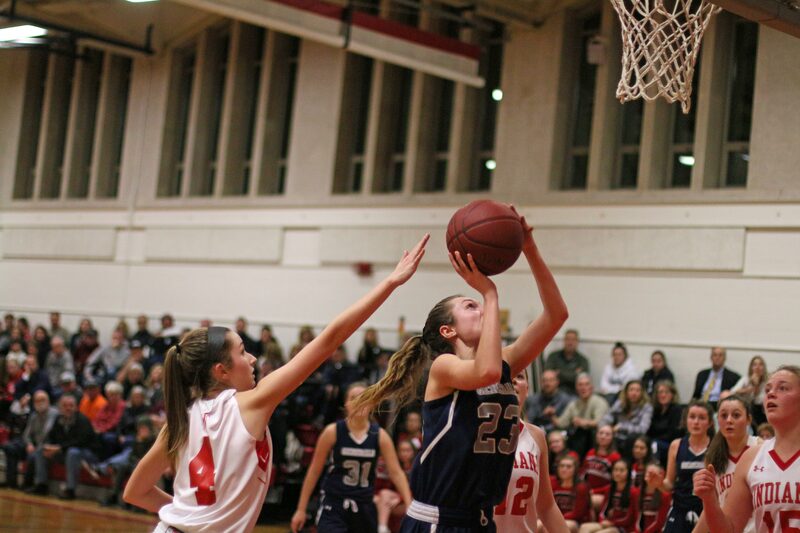 “The girls did a great job of focusing in on their better scorers,” said Coach Flanagan. 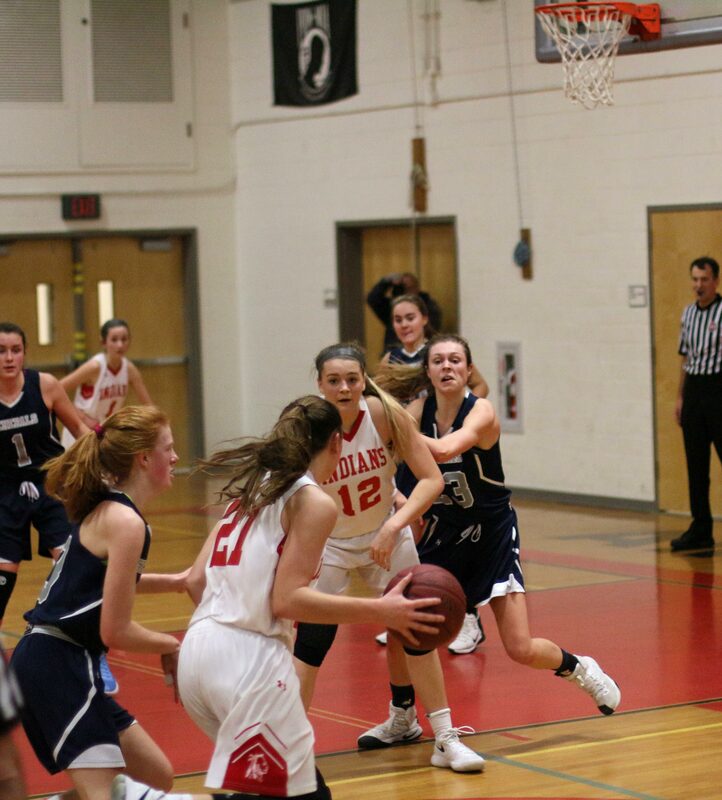 Jemma and Cecily played tight man-to-man defense while their teammates sagged into the lane to give them help. The best thing that defense did was to keep Alli and Flannery on the perimeter. Tonight the AHS shots weren’t falling from the outside. Lauren Flynn led all scorers with sixteen points. 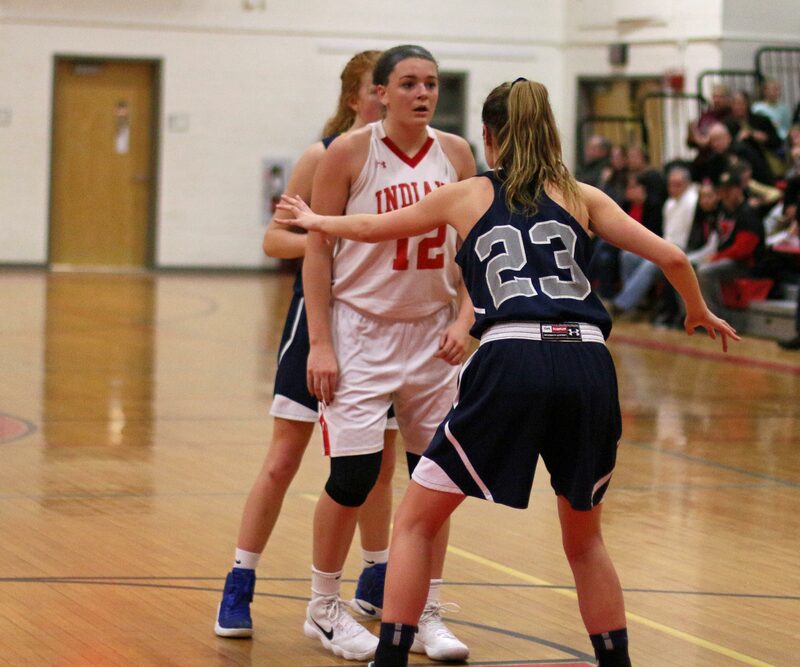 Lauren had two quick baskets in the 2nd quarter; one on a setup by Jemma Shea and another on a well-executed inbounds play. That brought HW to within two (12-10). 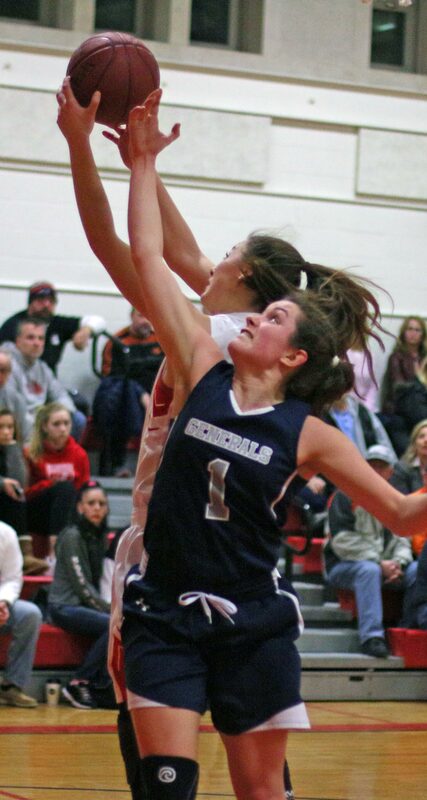 Then it was Lauren again in the last second of the period, setup this time for a layup by Jacqueline Fibbe. The halftime score was a very low 14-14. 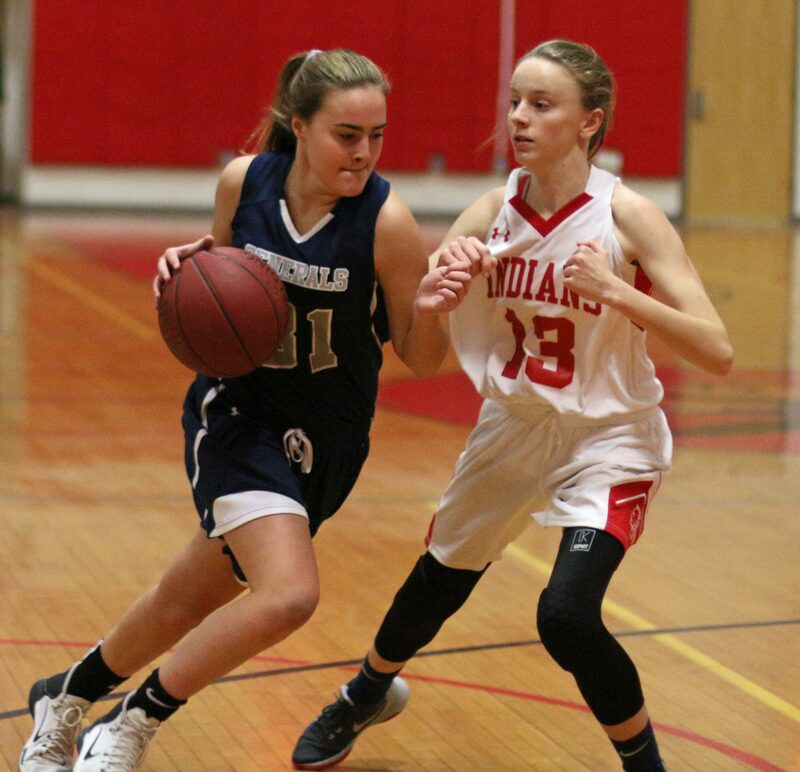 The Indians (7-3) took the lead in the 3rd period on an Alli Napoli layup and a three by freshman Mary Bullis from the corner. 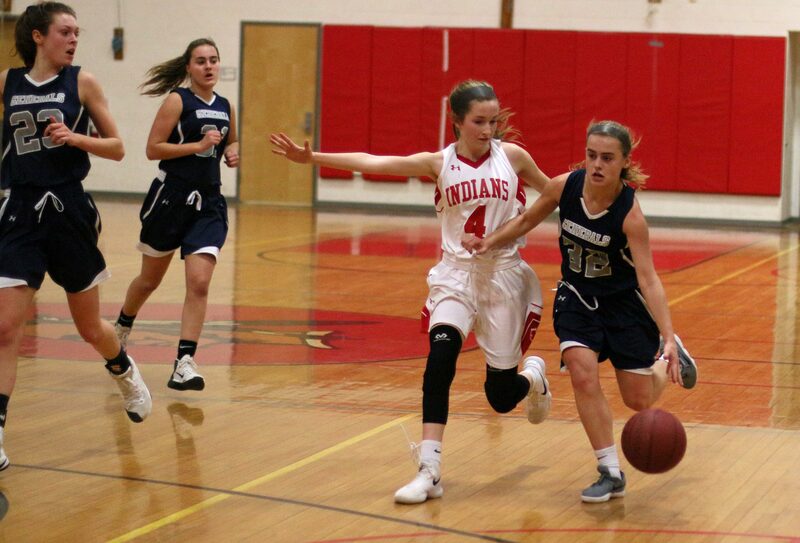 Amesbury, however, didn’t score again for four minutes while the visitors gained separation with eight unanswered points. Senior Lauren Flynn was the key contributor with four free throws and a driving layup. Teammates Cecily Szady and Maddy Rivers added free throws. That run of points gave HW a 24-19 advantage with two minutes left in the third quarter. AHS would get within three twice during the next 3+ minutes but they could not string points together the rest of the way. 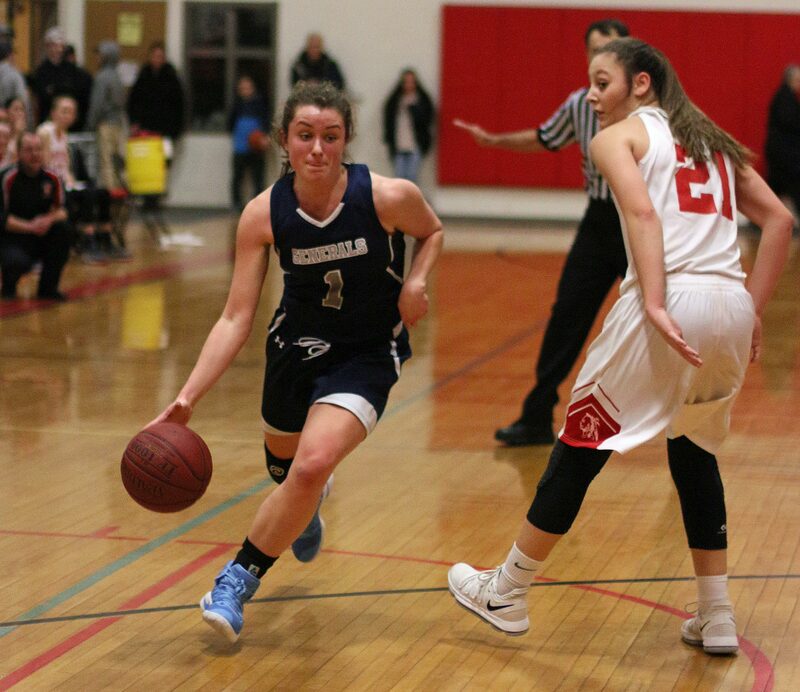 The Generals gained final separation with six straight points; four of them were from Lauren Flynn and the other two on a drive by Jemma Shea. This stretch of good offense pushed HW ahead, 32-23, with 2:44 left and AHS couldn’t recover. “We had a lot of assisted baskets,” added Coach Flanagan. 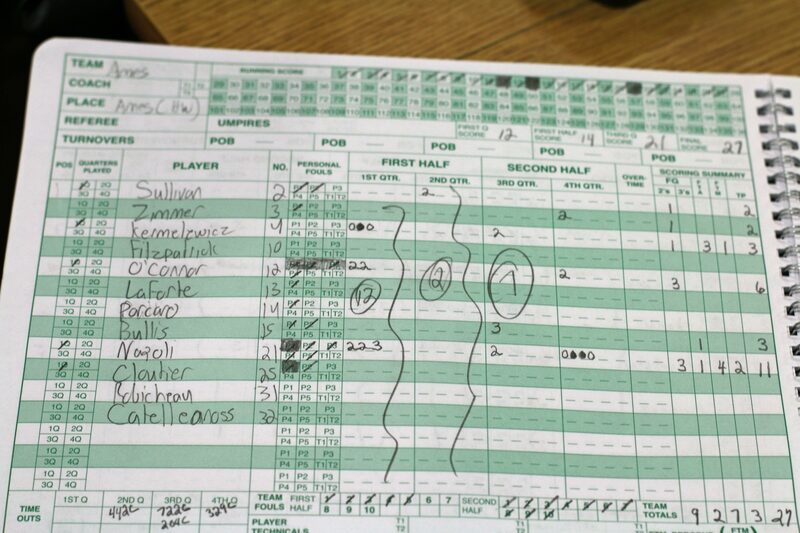 “When we can fill the scorebook with a whole bunch of scorers, that is what we like to see.” Seven of HW’s nine players had points. 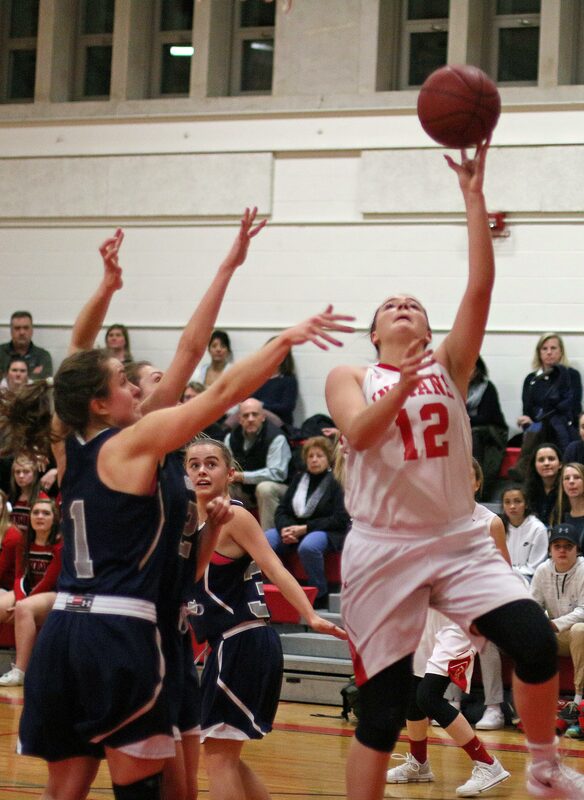 Alli Napoli led the AHS scorers with eleven points before fouling out in the last minute. 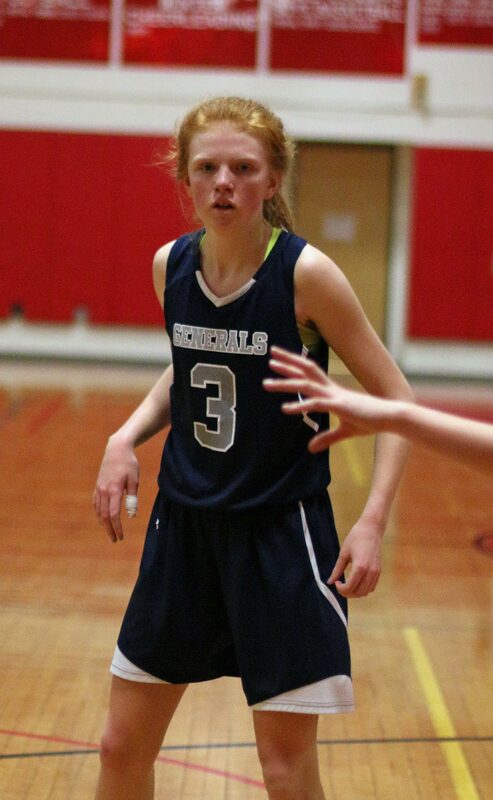 A turning point in this game was when with 4:24 left, Alli picked up her 4th foul. 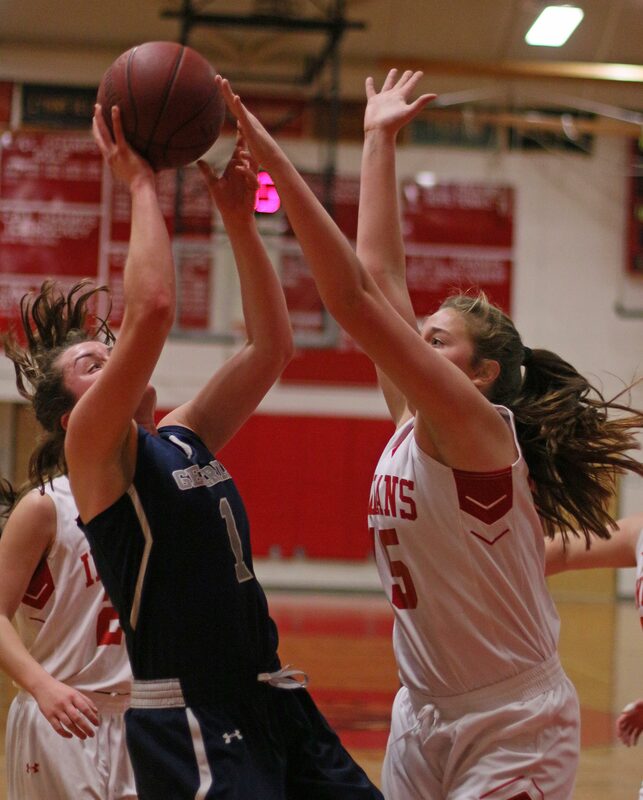 Amesbury had only ten turnovers in the game while Hamilton-Wenham had eleven miscues. 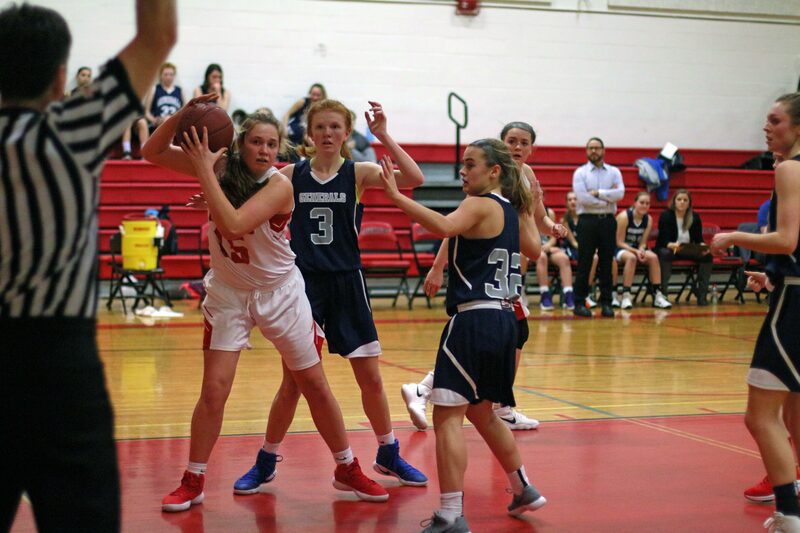 Coach Matt Willis put getting the ball out of the backcourt entirely into the hands of Alli Napoli and Flannery O’Connor. 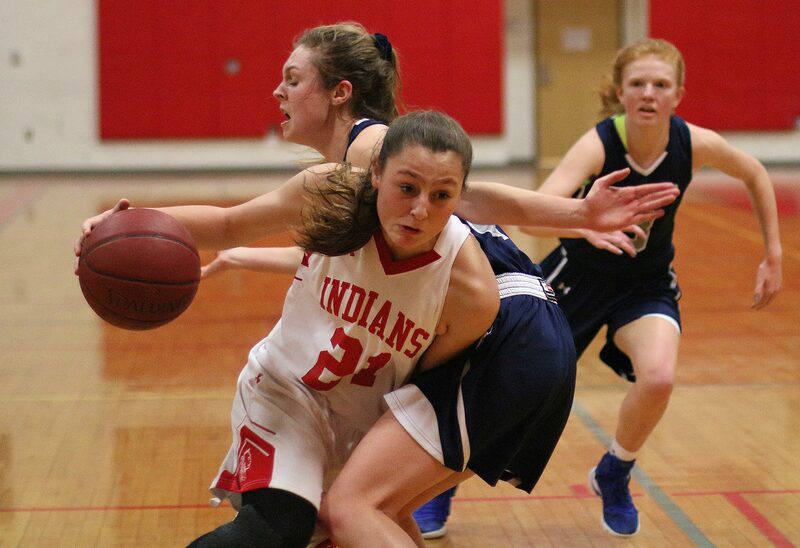 Getting the ball inbounds was the hardest part because HW had defenders on either side of the girl getting the inbounds pass. But the talented two-some handled this part of the game flawlessly. The trouble for them was in the half-court where their perimeter shots weren’t falling, and the inside was filled with Generals. 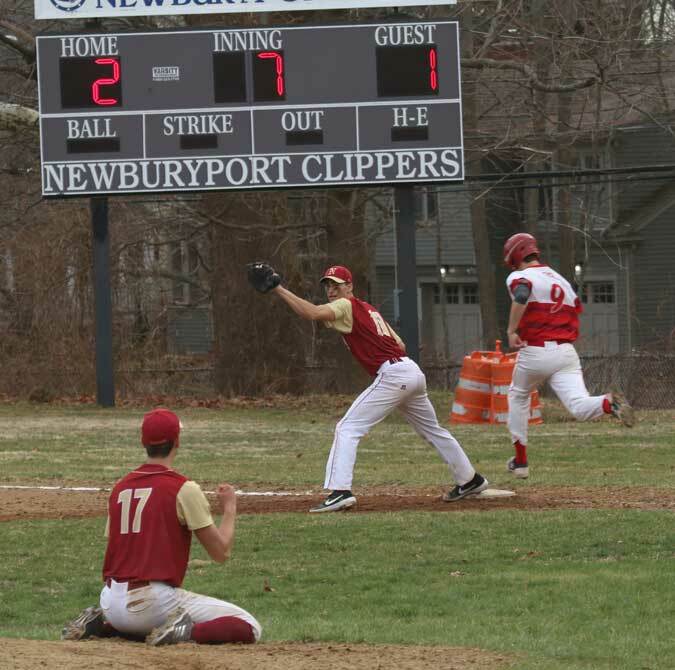 Amesbury had won five straight games and had been undefeated (5-0) at home. Plenty of scouts on hand from Pentucket. 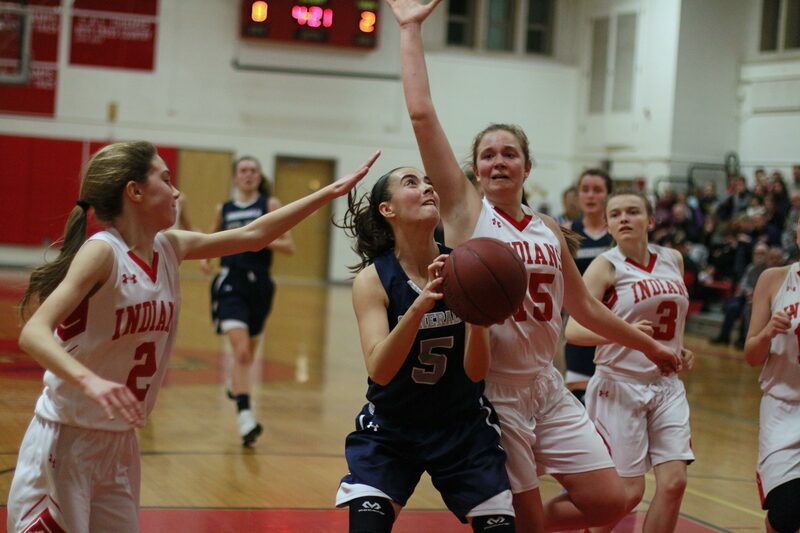 HW defeated Amesbury 39-35 on December 15th. 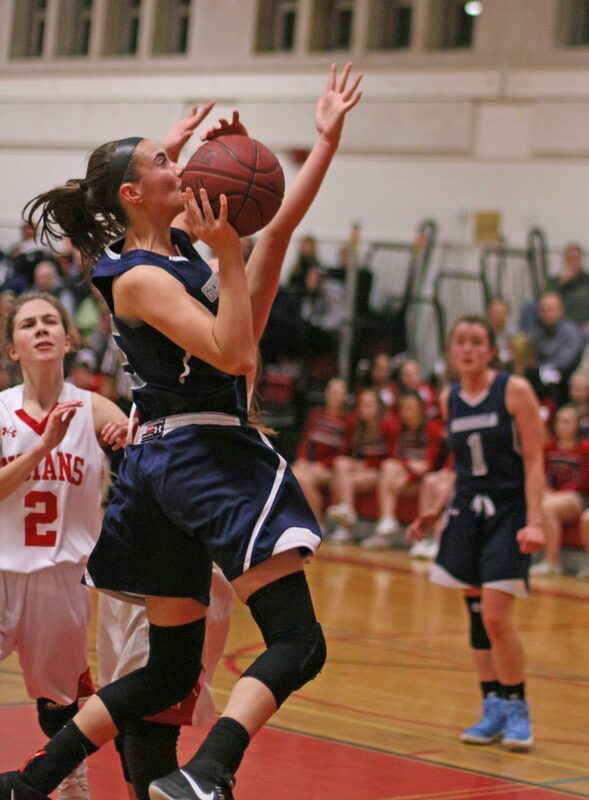 Hamilton-Wenham was 15-9 last season reaching the Division 2 North title game. Amesbury was 22-2 reaching the Division 3 state semifinals.